Startups Why invest in startups? When you invest in startups using equity crowdfunding on SyndicateRoom, you do so knowing that each investment opportunity is led by an experienced business angel, a venture capital fund, or an early-stage investor. It is only after they have conducted their own due diligence, negotiated the valuation at which to invest, and invested their own money that these opportunities are presented to our members who invest at the same economic terms as the lead investor. You can take our word for it, or you can read a report produced by NESTA, which calculated the average annual internal rate of return for business angels between the years 2000–08 was 22% – more than double the average stock market return during the same period. Risk Warning: Investing in startups and early-stage businesses involves risks, including illiquidity, lack of dividends, loss of investment and dilution, and it should be done only as part of a diversified portfolio. SyndicateRoom is targeted exclusively at sophisticated investors who understand these risks and make their own investment decisions. Please read the full risk warning. As of November 2017, the sector distribution of early-stage businesses funded through SyndicateRoom has been as above, with life sciences leading the pack. According to the report Analysis of Crowd-based Financing in European Life Sciences, SyndicateRoom leads the way when it comes to life sciences fundraising in Europe. Experienced angel investors negotiate the terms of investment with the entrepreneurs and decide how much capital they will invest. The business valuation is negotiated by the lead investors to a point they are happy to invest their own capital. As a result, SyndicateRoom members invest in deals with realistic valuations set by those invested rather than by entrepreneurs alone. SyndicateRoom members can see all information regarding an investment deal and the respective terms of the investment such as valuation offered to SyndicateRoom members. Members can ask questions to the entrepreneurs and can read all questions asked by other members and the respective responses. Each SyndicateRoom member makes his or her own individual decision to invest and can invest at a click of a button. As a SyndicateRoom member and investor, you do not have to worry about any legal paperwork regarding the investment. You won't depend on us if you want to sell your shares. Only when all legal documentation is finalised will we transfer the funds to the company. If for any reason the funding round does not complete, funds are returned to investors without any charge. Once the company receives the investment, the exciting journey begins. Log into SyndicateRoom to check how the company is doing based on its latest tweets. At this stage some companies will fail, some others will succeed. You are investing in businesses as an angel investor, therefore you should expect some losses – and if you are good at picking deals, great returns on others. Most angel investors look at a three to five years' return from their startup investments. Sometimes it can take much longer and losses will occur earlier than the big gains. For those companies that succeed, the exit is usually a trade sale (selling of the whole business to another company) or an IPO (Initial Public Offering) – listing on the stock exchange). This is the stage where astute investors can achieve great returns. Why buy shares in startups? Early-stage investing has a reputation for being highly risky, and for good reason: the majority of startups will fail in their first five years. That’s why it’s so important to conduct rigorous due diligence on any opportunity before you invest. In fact, industry data shows that investing in startups can also be highly profitable if done responsibly. We commissioned an independent research agency to examine the performance of 519 young businesses that raised their seed round in 2011. Since 2011, the cohort has grown at a compound annual growth rate of 30% and in 2017 was worth more than 5x its original value. You’ll notice those figures reference the generous 30% EIS tax relief (or 50% SEIS tax relief) on offer, which you can claim on eligible investments totalling up to £1m a year (or £2m for knowledge-intensive businesses). 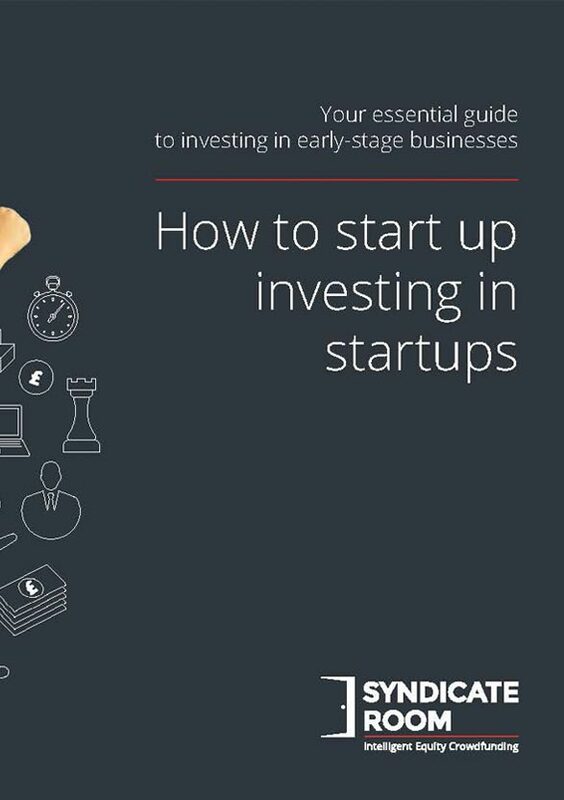 Want more information about how to invest in startups? Download your copy of our free guide, covering due diligence, legals, what to expect once you've invested, and what happens if things go wrong.